Are you working full time and thinking of launching your own editing or writing business? Maybe you’re working in a lab and think you want to write instead of doing bench science. Not sure how to “break into” a writing or editing career? 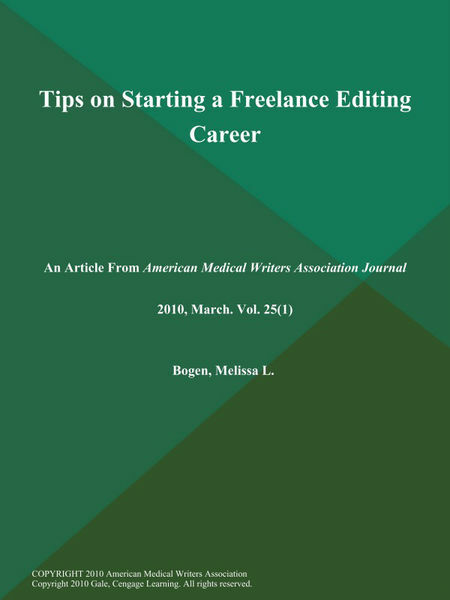 My suggestions on starting out are directed at medical editors, but some information may still be of use if you are looking for writing jobs. Many of these tips may be useful for maintaining a freelance business, not just getting it off the ground. Career, Editing, Freelance, STARTING, Tips permalink.